Classic adventure movie based on H. Rider Haggards novel. 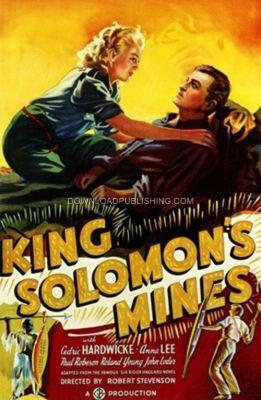 Adventurer Alan Quatermain leads a rescue party to search for Kathy OBriens father who disappeared and has not been heard from since leaving to look for the fabled diamond mines of King Solomon. Production Company: Gaumont British Picture Corporation Ltd.